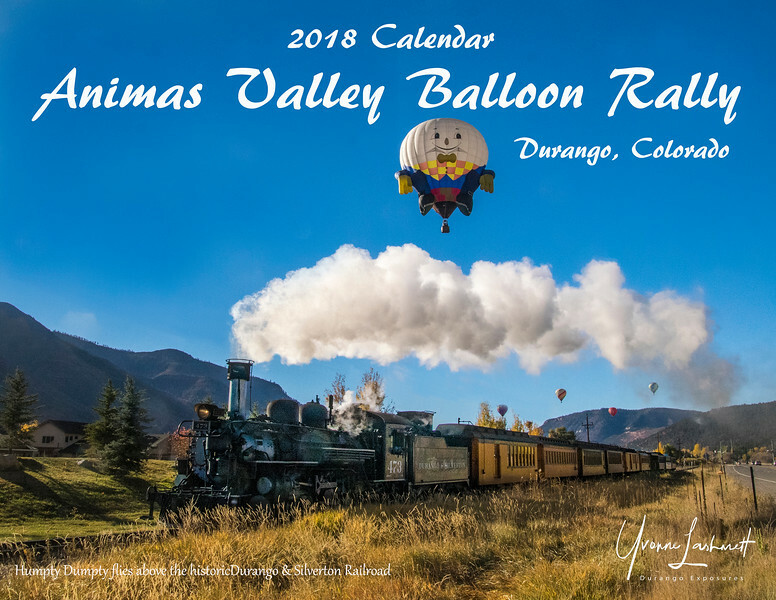 14 Colorful images of hot air balloons in the Animas Valley near Durango, CO. Night glows and ascensions! Calendars are just $10 each by contacting Yvonne 970-759-0181. Pick up in Durango (limited time only) or I will ship for $3 shipping and handling! Individual prints of these images can be purchased here!